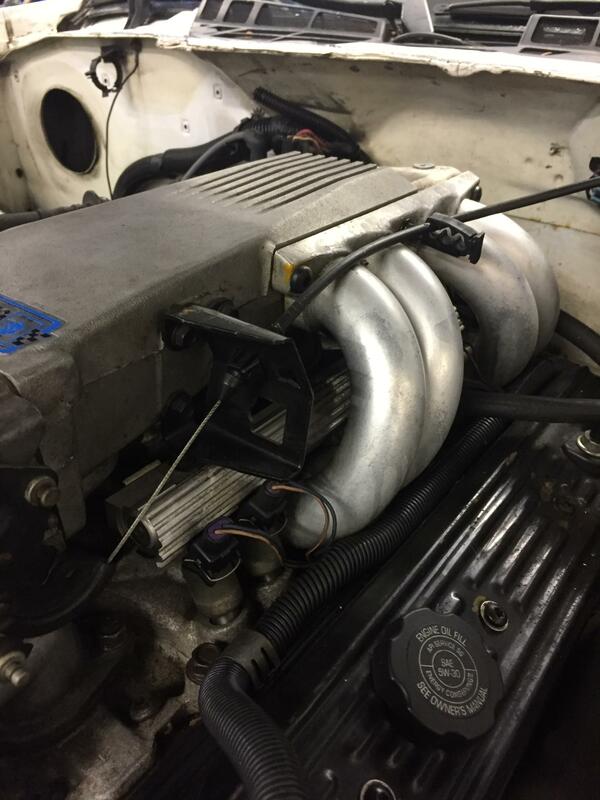 Hi everyone, I've been a subscriber to GRM for a while and thought I'd start a thread of my build. I love classic cars and racing. Watching beautifully sculpted vintage metal being thrown around a racetrack gets me all excited. Hearing the sounds of big V8s bellowing at high rpm piloted by fearless drivers can't be beat. The idea of actually owning and racing a real collectable vintage racecar is my dream so I decided to stop dreaming and start looking. A real late 60s Trans am Mustang or Camaro, GT40, or Falcon would be the ultimate for me, but with prices north of what my house is worth, those were out of the question. I had never heard of the Players Challenge Series before someone responded to my 'vintage racecar wanted' ad. 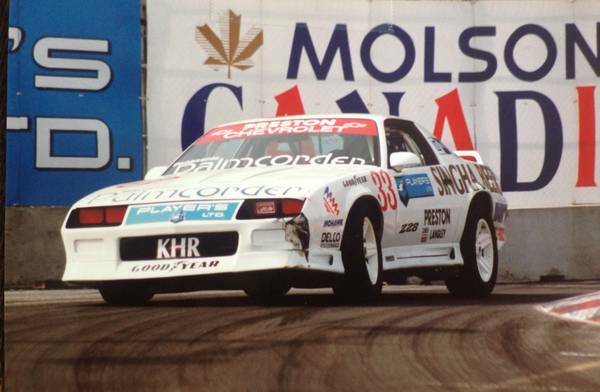 The Canadian showroom stock racing series was developed by GM using F-body Camaros and Firebirds. 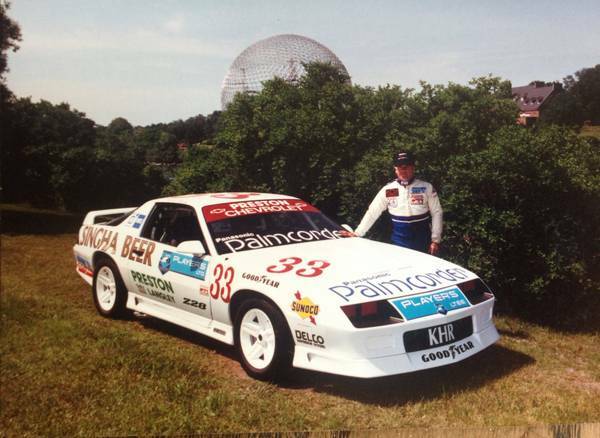 Started in 1986 and ending in 1992, the cars were built at the factory specifically for the series with hand built engines and unique racing parts. Around 35-91 were built each year and not available to the public. 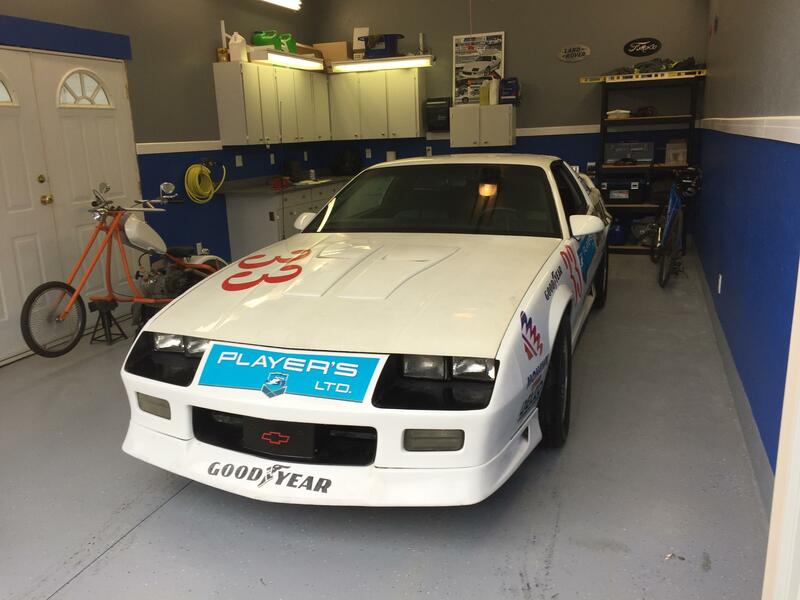 1986 cars had the A4Q RPO code, 1987-1988 used A4U and 1989-1992 used the R7U code to identify them as Canadian Players Challenge Series racecars. In 1987 the addition of the Westwood circuit in Vancouver to the series exposed the cars' weakness of braking power. To fix this, GM engineers used redrilled station wagon rotors and aluminum PBR calipers, the addition of these new parts called for a new option code on the order sheet, thus creating the 1LE Camaro. Along with the specially factory built, blueprinted, dynoed, and sealed engine, the cars differed from regular production with specially designed rear shocks and a low volume power steering pump. Being a showroom stock series, the rules stated the cars had to be insured for the road and racers were encouraged to drive them to the track. Once the season was over, the roll cages were taken out, open exhaust removed, decals removed, and they were sold to the public as regular cars. 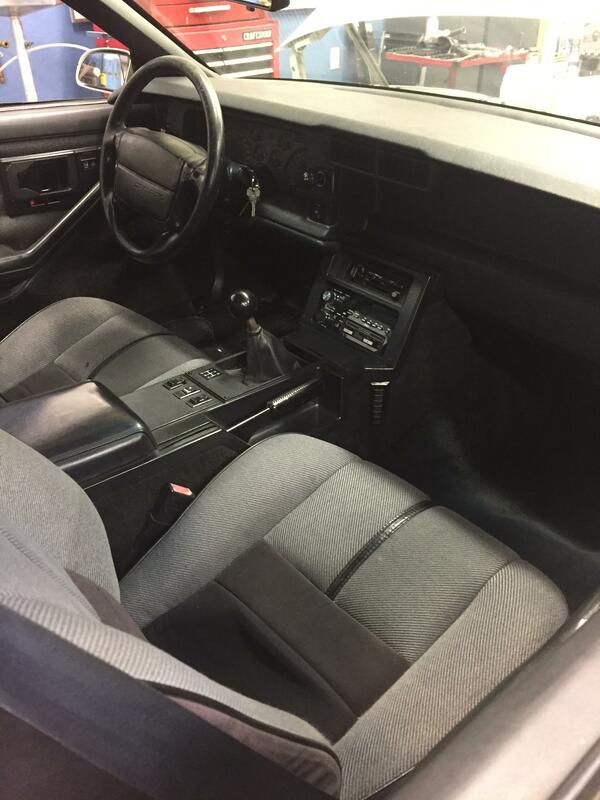 The R7U cars were 1LEs built with power windows, locks, and rear hatch and stereo cassette am/fm radio to help with resale value. Many were driven around not knowing the history behind them. 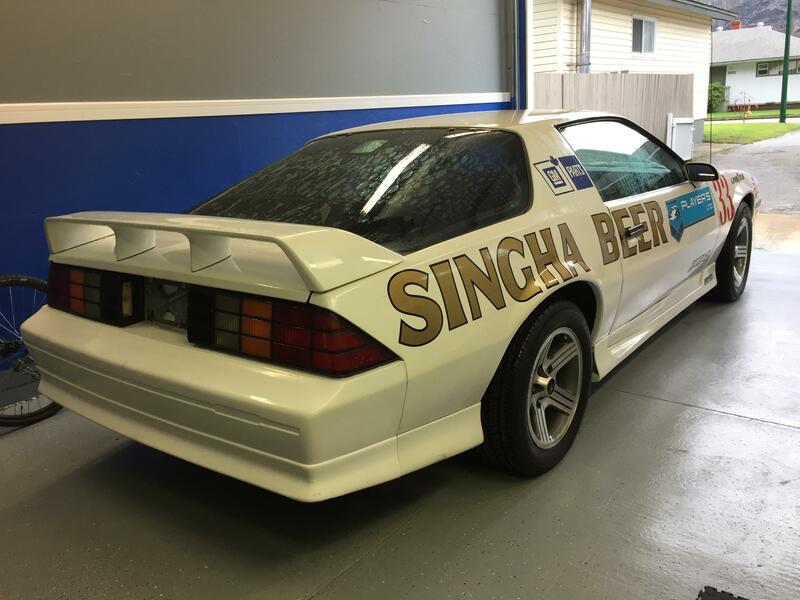 A real Canadian factory built street legal racecar! It was perfect! It met all of my criteria. Research showed me that prices were still attainable. A coming up auction was listing 4 Players Series Camaros. I hooked up the trailer, bought a bidders pass, and brought home my first vintage racecar. You definitely have my attention! They aren't working on this computer either. You have my attention as well. I can see the pics now. What is up with all the 3rd gens lately? Makes me want one way more than I should. May I ask.... how much does this amazeballs machine cost? Do like. A lot. Since a Corvette Challenge car seems like it will always be beyond my reach, maybe this gives me something else to look for. You must put the white wheels back on it! 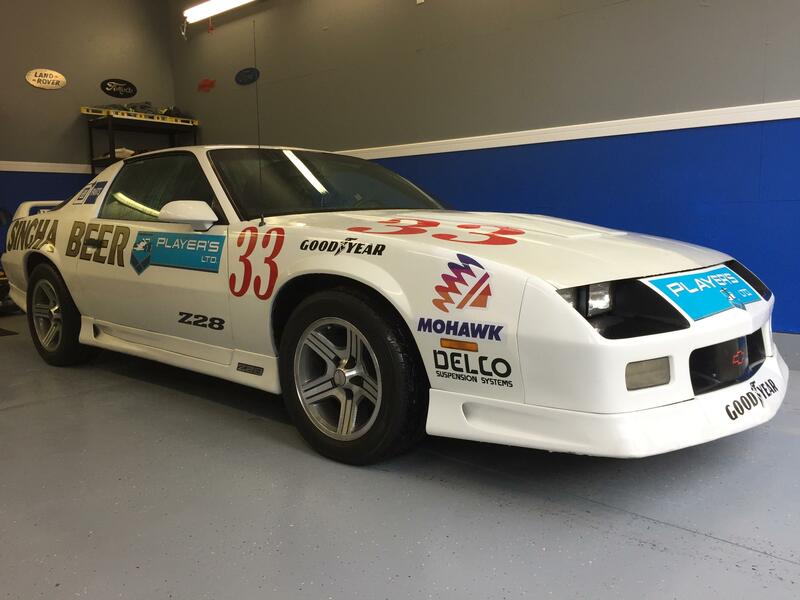 In 1991 only 32 R7U Camaros were built for the series. 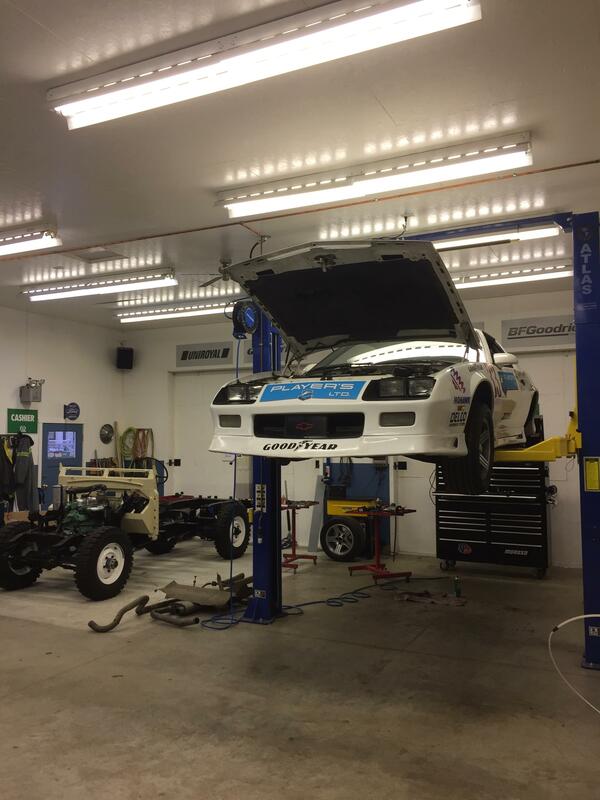 This particular car won 1 race on the Calgary Race City oval and a third place finish both being driven by Trevor Seibert and both in 1992. I was able to meet Trevor at the auction and had him sign the car. 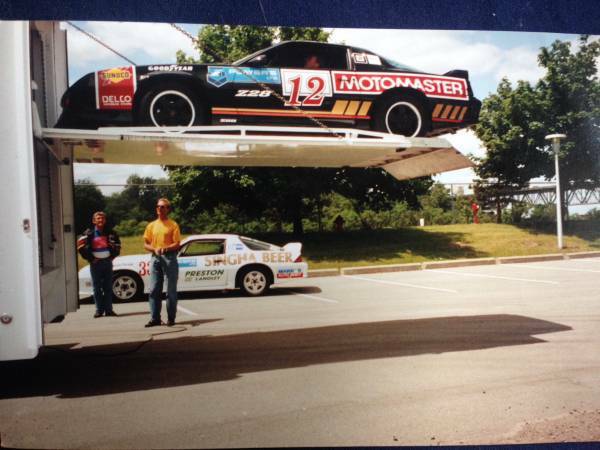 After 2 hard racing seasons the car had been sold and driven on the street for 150,000+ kms. And it showed. It was discovered in 2001 at a garage sale for what it is and traded hands a few times before becoming mine for $10,500 plus buyers premium. 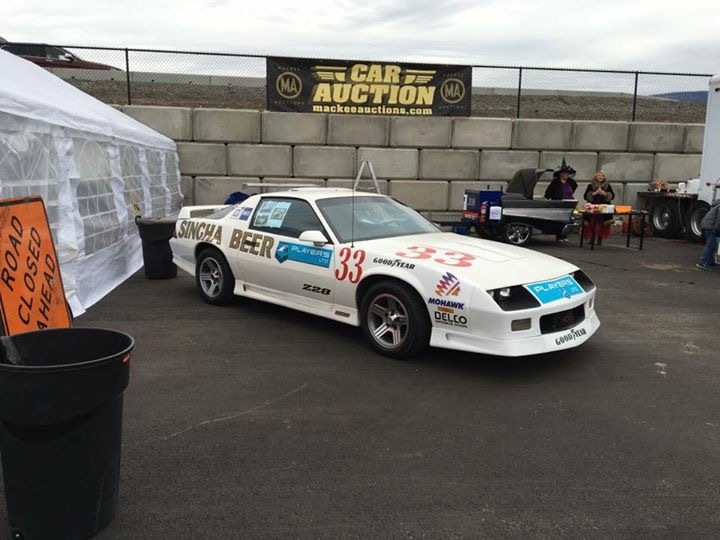 There were 3 other Players Challenge Camaros at the auction, one driven by Rob Fellows not meeting reserve at $40,000-$50,000, it was in super great as raced condition with little to no road miles on it. 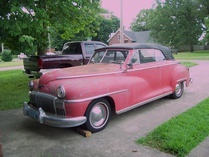 Another promo car for the series also didn't meet reserve at around $25,000. So values are really all over the place depending on condition, raced or unraced, racing equipment still on the car, and who actually raced the car. I remember this series! I went to I think one of the RCMP events when I was a kid. It is super cool that any of these cars survived the track, let alone street driving! Even the old Mohawk logo is a throwback. There are a few recordings of Players Challenge races online. It's weird and sad now to see the overgrown/half-abandoned racetrack where I drove crapcan beaters have actual racecars on it. Yes I've watched the videos on YouTube of the car winning. 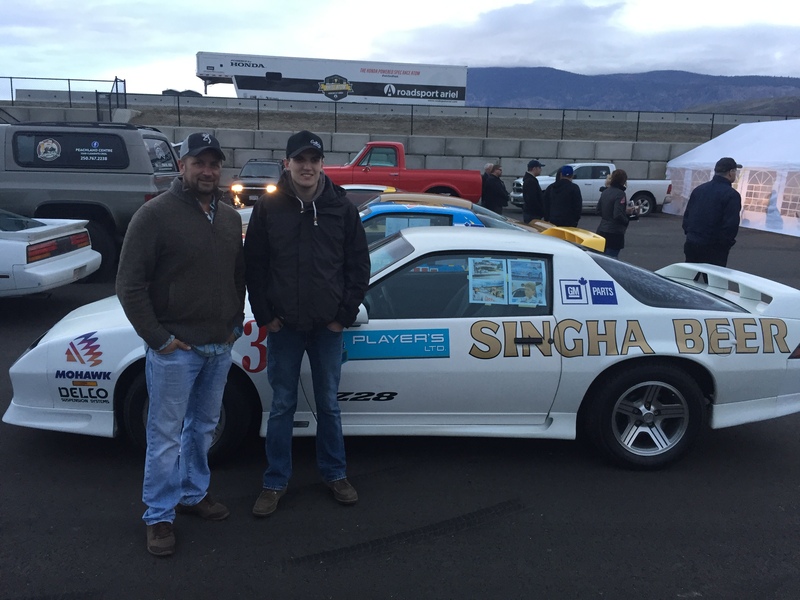 It's great racing to watch! 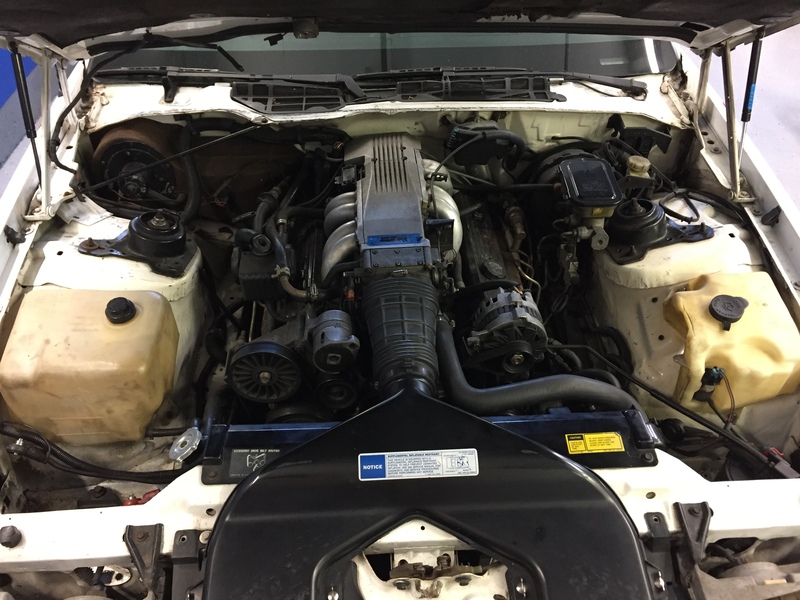 The 3rd Gen Camaro is like an Atari 2600 or Rubik's Cube - just when you are tired of them and you believe they are all gone - they resurface again. Congrats on the awesome Camaro, also by the way. 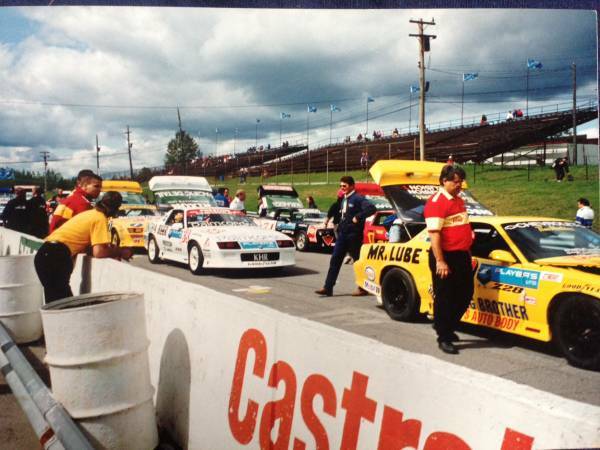 Did this series/ these cars race at Mosport in that era? Might have seen them in a support race there back in the day. Damn, might even have pictures yet. You must really like it, you parked it in the living room. Yes they did! There was an eastern and western series, they would be a support race for the Indycar races as well. Haha ya that's just my home garage. It's in my other shop now.